The Duke of Wellington died today at his home, Stratfield Sayre. He was 99 years old. 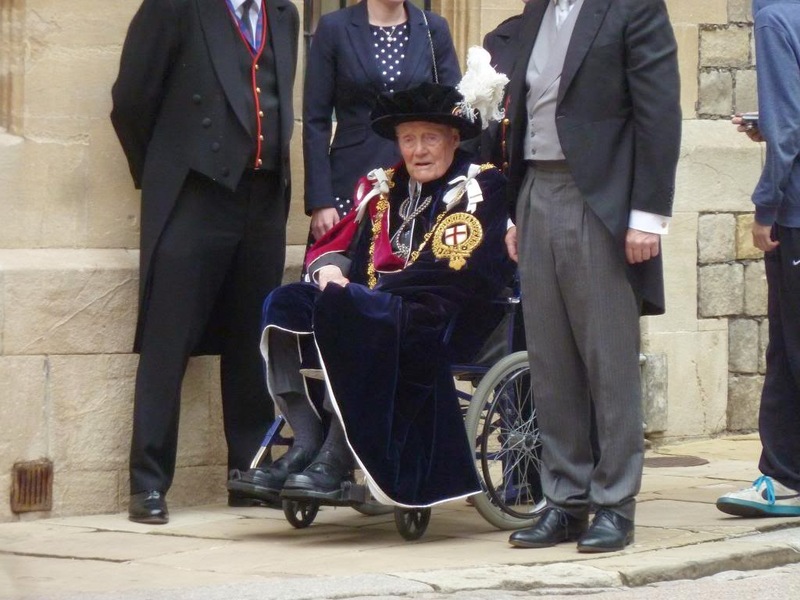 At the 2014 Garter ceremony at Windsor Castle. Photo is by Hein Bruins. He is succeeded by his eldest son, Charles, as the 9th Duke of Wellington. The new Duke is married to HRH Princess Antonia of Prussia, daughter of the late Prince Friedrich of Prussia and Lady Brigid Guinness. The Duke and Duchess were married in February 1977. The bride was given away by her paternal uncle, Prince Louis Ferdinand of Prussia, then head of the former ruling house of Germany. They have five children: Arthur, now Marquess of Douro, Lady Honor Montagu, Lady Mary, Lady Charlotte and Lord Frederick, and five grandchildren. Lord Douro is married to Jemma Kidd and are the parents of Lord Mornington, Lady Mae (twins) and Lord Alfred Wellesley (who was born two weeks ago.) Lady Honor and her husband, Hon. Oliver Montagu have two children: Walter and Nancy Montagu.